Showing 7 options from 7 different local hauling companies for your selected delivery date: Need Help Finding a Size? As-agreed Dumpster rental fee payment must be received before Dumpster is delivered or at time of delivery. Otherwise, Dumpster will not be placed on ground, and a $125 charge is accepted by customer, plus any additional travel fees, if applicable. We are not responsible for any resulting property damage due to snow or ice on a driveway that results in one of our trucks sliding off the driveway. If as-agreed Dumpster rental fee payment isn’t received & Dumpster was placed on-site, we reserve the right to remove Dumpster from site immediately, without prior approval from customer, and in which case, customer accepts a $125 charge and any associated required dump fees of $80 per ton. Clean-fill price quoted will not be maintained if non clean-fill items are disposed into dumpster. Pricing would then revert to non-clean fill pricing and weight limits shown herein, including associated over-weight fees. Customer is responsible for any and all items disposed into dumpster prior to dumpster pickup. When you are done with the dumpster, please call 1-888-259-3033 to schedule pickup! It will NOT typically be picked-up at the end of your Rental Period, as you may not be done with the Bin and we respect that. Note 1: However, that extended term fees will apply for those days beyond the As-Agreed Rental Period. Note 2: We will NOT charge you for those additional days after the day for which you request pick-up, if our schedule is such that we cannot perform said pickup on the day requested for pickup. Note 3: We Reserve the right to pick-up the Bin any day after your Rental Period. **Please note there will be a $80 per ton fee over the allowed weight for that bin. If unsure, please call our office to see if the item is restricted. Please keep in mind, upon inspection and tarping bin, if any hazardous or non allowed item is seen, it will be removed and left on premises. If items are not seen until unloading and disposing, there will be a hazardous waste penalty and a minimum $100 charge to dispose of properly. A 2nd or 3rd trip (each) is $125 extra1 and could occur if Bin can’t be picked-up due to a vehicle parked in front of Bin, or Bin is over-filled or too heavy. Note: After as-agreed # of days of bin rental (determined at time of reservation), we reserve the right to remove the dumpster any day. Electronics (TV’s, Stereos, Computer Monitors/Towers) $10 each item. Relocations are $75.00 per trip, and may involve additional fees based on the distance of the relocation. Please note, in order for us to tarp our bins properly and legally, only fill bin level with wall height. If it is filled past wall height and we are unable to tarp the bin, a fee will be added and items will have to be removed. There will be a trip charge of $1251 if driver reports any and all conditions at site that prevent Bin pickup. 1 Increases by $45 per 15 minute increment driving time beyond 30 min. to customer job site. i.e. 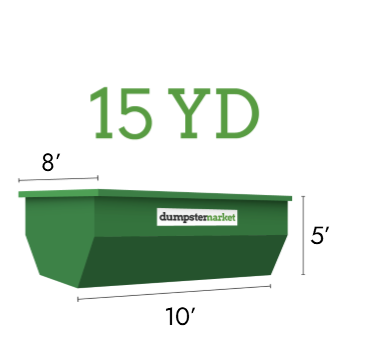 If customer’s location is 30+15=45 min from our Bin Yard, additional time/distance fee is $45. After 1 hour, the rate increases by $51 per 15 minute increment.